In celebration of Darlington's rich railway heritage, as well as the burgeoning musical culture of the area, we've put together a whole day of delights, taking place in spaces surrounding Banktop train station, which will showcase a plethora of touring, regional and local talent, wrapping up just in time to catch the Last Train Home. With support from Arts Council England & Creative Darlington, as well as partnership with NARC. 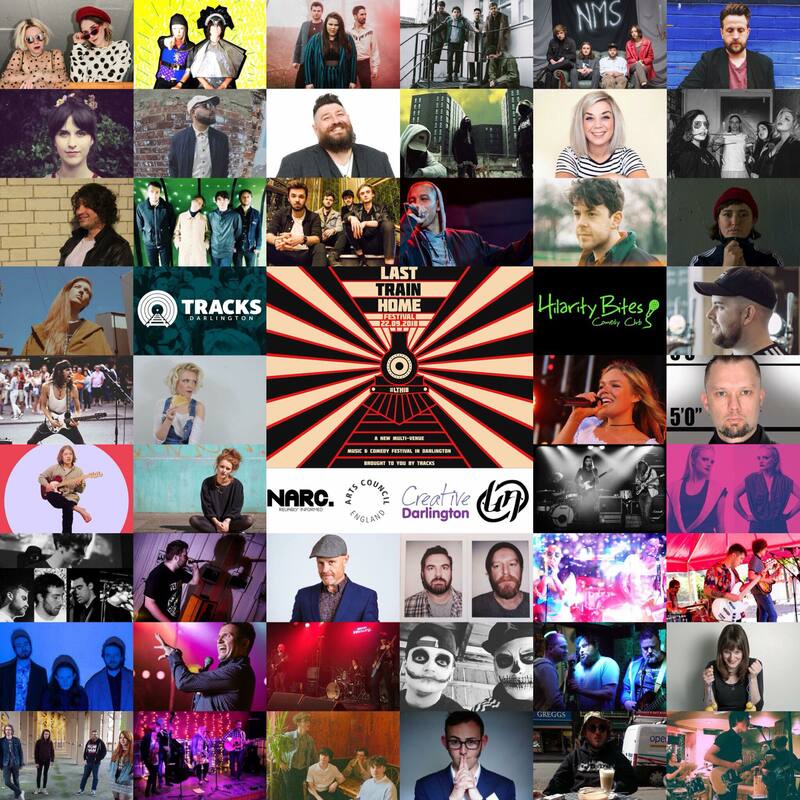 Magazine & Hilarity Bites, we've assembled 47 artists spanning 6 stages, all accessible with a single wristband so you can wander at will, enjoy some great acts you know, and discover some you don't. We couldn't be more excited to bring such an amazing array of acts to our town, and we really hope you'll hop on board. 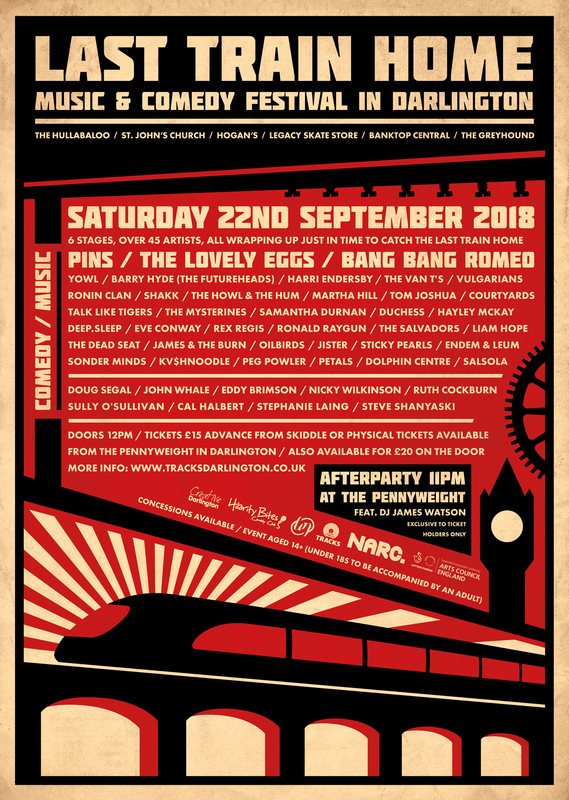 To buy tickets for this event please visit our events page: Last Train Home Festival tickets from Skiddle. Last Train Home Festival Age Policy : Last Train Home welcomes everyone over the age of 14, however anyone aged between 14 and 18 must be accompanied by an adult. Personal Assistant Tickets: Carers tickets are available for free when purchasing an access needs ticket, please contact Tracks on tracksdarlington@gmail.com to arrange.